The Alamo Dam Project was recommended for approval by the Chief of Engineers, Corps of Engineers, and authorized by Congress in the Flood Control Act of 1944. The purposes of the project were to protect the Lower Colorado River area from floods originating on the Bill Williams River drainage and to provide water storage and public recreation. Along with the construction of the dam, the Army Corps of Engineers constructed a number of recreational features including a campground, picnic area, beach area, restrooms, boat ramp, administrative office, and the paved entrance road to the site that came from the small farming community of Wenden 38 miles south of the lake. The Parks Board, in its 1958 ten-year plan, had identified the potential for a state park located at Corps of Engineers projects. Alamo had been identified as a State recreation area in the Lower Colorado Land Use Plan. 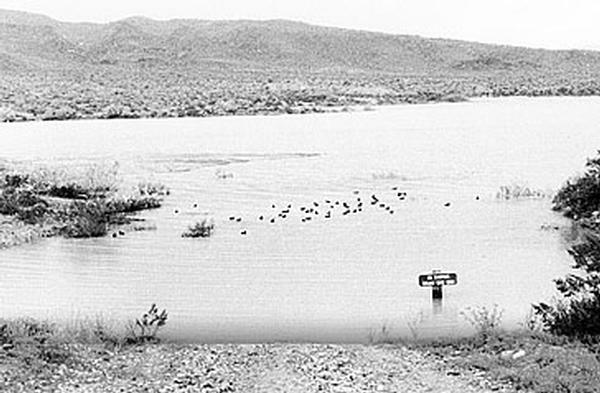 Early in 1963, the Corps of Engineers initiated discussions with Arizona State Parks and Arizona Game and Fish concerning the operation and management of Alamo Lake. Staff members from the two agencies began doing feasibility studies and met with Corps officials for an on-site inspection on October 22, 1963. 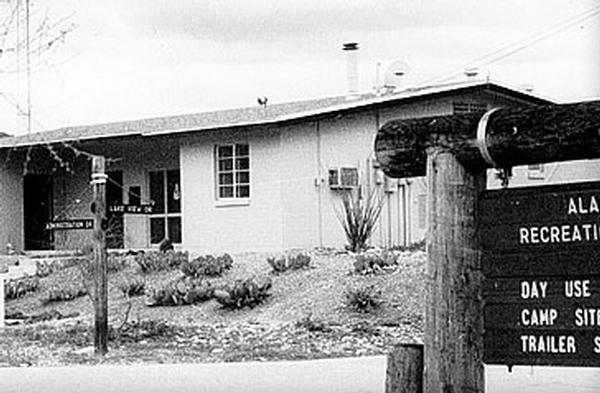 The Parks Board reviewed and discussed the potential management agreement with the Arizona Game & Fish Commission before it was finalized and signed by the Park’s Board in April 1969. The Management Agreement provided for State Parks to manage the visitor facilities on the shore of the lake while the Arizona Game and Fish Commission managed the lake surface. The Parks Board signed a 25-year recreation lease with the Corps of Engineers to operate Alamo Lake as a State Park. The original lease was extended for 3 years, and on September 1, 1997, a new 25-year lease was secured by State Parks. Alamo Lake State Park was dedicated and opened to the public in November 1969 with Wayne Perault as its Park Manager.